To the untrained eye, it can be hard to tell the difference between stones like a blue topaz and an aquamarine gemstone. But a trained and certified gemologist, cannot only tell the difference between the two but also tell many other key things about the quality of the stones. Jerry Taylor has incorporated his certified gemological training into Taylor Custom Rings to ensure all clients are satisfied with the quality of their unique rings. A certified gemologist is someone who has received their education from the Gemological Institute of America, also called a Graduate Gemologist. Graduates of the GIA program have garnered advanced knowledge concerning diamonds, gemstones, and procedures for testing precious metals. A highly qualified certified gemologist like Jerry Taylor will also stay up-to-date on gemological news and innovation. Learning to grade diamonds from the D through Z color range. Students learn to recognize and identify how rarity, quality, and color affect the value of colored gemstones as well as diamonds. Hands-on lab experience using the GIA International Diamond Grading System™. This allows them to become familiar with the key 4 factors regarding diamonds - cut, color, carat weight, and clarity. Develop familiarity with the GIA Colored Stone Grading System so they can accurately assess the quality of gemstones. Understand the diamond process, from how they are mined, developed, and brought to the worldwide market. This knowledge now extends to lab-grown gemstones. Identify the characteristics of gemstones, the qualities of gemstone simulants, treatments, and know when a stone needs advanced testing to evaluate. Build up their knowledge concerning colored gemstones and the market surrounding colored stone market. Learn to use gemological equipment to identify gemstones and their quality. 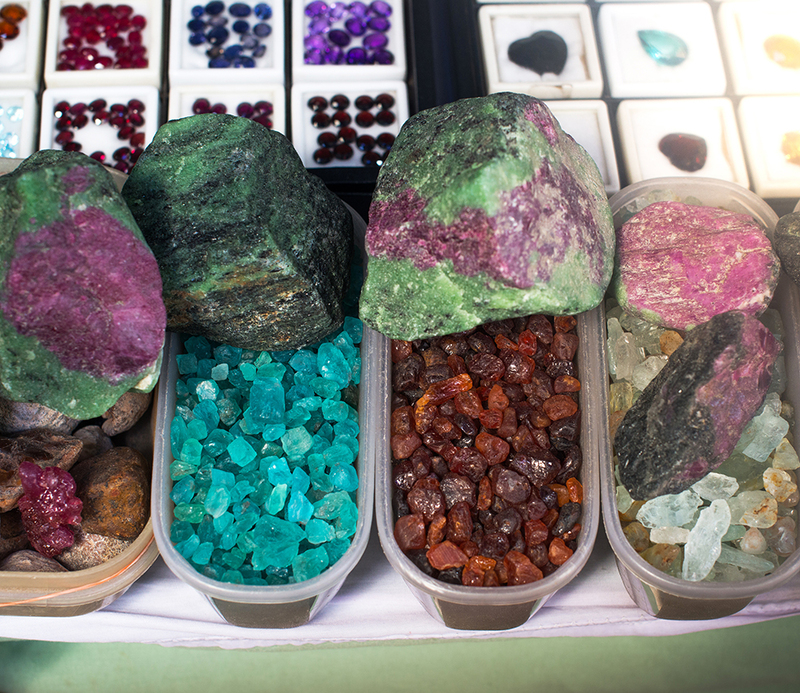 Gain familiarity with the gemstone market and how various market factors affect the value of stones. Jerry Taylor received his Graduate Gemology degree while studying on the Carlsbad, California campus, which is the headquarters for the Gemological Institute of America. When you are looking to have custom jewelry designed and created, you want to work with a Graduate Gemologist. You will have their years of experience and knowledge to draw on as well as their familiarity with the precious stone market. Durability of center stone - Creating a unique ring with an uncommon center stone can be an exciting process but not all gemstones are durable enough to be a long-lasting center stone. For instance, pearls can be lovely as a center stone but are prone to discoloration due to their porous nature. This also applies to rings with gemstones in the band of a ring which are not diamonds. Many other gemstones are not overly durable, especially when compared to diamonds. A certified gemologist will able to make sure you are properly informed of any potential vulnerabilities in your custom ring’s design. Strength of design - Not only does the hardness of the stones count when it comes to custom engagement rings, but also the overall strength of the design. Rings with only 4 prongs securing the stones, particularly the center stone, can be in greater danger of losing their stones, as it only takes the loosening of one of the prongs for the stone to become dislodged. Another consideration is the carat of the metal you want for your custom ring. Certified gemologists have an understanding of precious metals, particularly how they relate to jewelry. A certified gemologist can make recommendations of the carat of your ring to help ensure it fits your needs, as the higher the carat, the softer the metal of the ring. Stone substitutions and imitations - When you design a custom engagement ring, part of the appeal is the ability to control the price of the ring through things such as substitution stones and imitations of more expensive stones. Take the early example of the blue topaz verses the aquamarine. If a 1-carat aquamarine center stone is out of your price range, then a certified gemologist could find you a 1-carat blue topaz for a much lower price, while the average person would be none the wiser. Along with that, a certified gemologist will be able to tell you what color clarity would make a noticeable difference in your ring and which would only be noticeable to another Graduate Gemologist. Ideal gemstone placement - Paired with the strength of design, the placement of your ring gemstones is a key part of the overall durability of your ring. Certain ring designs rely on tension to hold a stone in place, which can make the ring less stable overall. Also, rings with gemstones in the band can come in placement styles which may endanger these smaller gemstones.This will also apply to the cut of the stones in your custom ring. A certified gemologist will be able to advise you on what will make a difference and what future steps you may need to take. Current value of stone market - Colored gemstones and diamonds do not have static market value. Thanks to the fluctuations in the market, some gemstones may be more in your price range than you expected or cost beyond what you planned to spend. A Graduate Gemologist who runs a custom jewelry business will be better informed on the current stone market than your average retail jewelry counter. Taylor Custom Rings is able to deliver high-quality custom rings to their customers in major part thanks to the fact that we have a certified, Graduate Gemologist leading our team. Jerry Taylor has put his experience as a retail jeweler and extensive education from GIA to good use, helping hundreds of people design their perfect custom rings. If you would like the hands-on help of an experienced certified gemologist on your custom ring, then contact us. Our team is ready to bring your dream ring to life.